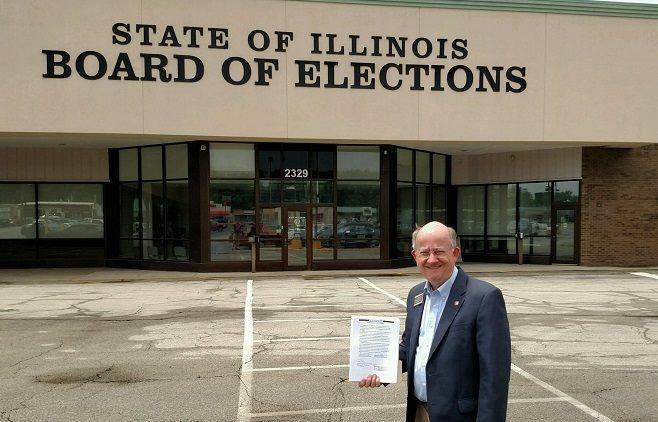 Junius Rodriguez submits his ballot petition signatures to the State Board of Elections to run for Congress in the 18th district, May 31, 2016. He's been teaching history at Eureka College since 1992 and is an expert on slavery, emancipation and abolitionism. During an appearance on GLT's Sound Ideas, Rodriguez said he was surprised to see no Democrat listed on the March primary ballot, so he decided to run. "My first thought at the time was, 'is it possible to run as an independent.' What I quickly learned is that running as an independent in this state is next to impossible. You would have had to gather 13,000 signatures in a month's time to be able to qualify as an independent," Rodriguez said. He said he's been a Democratic voter all his life, and learned that only 626 signatures were needed on petitions to be listed on the ballot as a Democrat. Rodriguez said he collected more than 1,100 signatures in less than a month and submitted them to the state elections board May 31. Rodriguez said one of his main goals, if elected, is to reach out to Republicans to accomplish meaningful legislation in Washington. Although no Democrat has fared well in the 18th district over the last several election cycles, Rodriquez said he feels the district is more "purple" than people think. 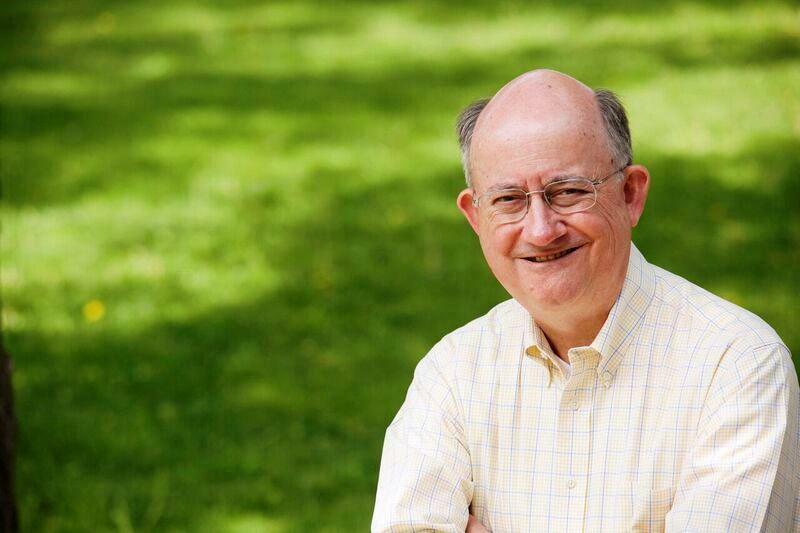 He cites the 1982 general election, when Democratic challenger Doug Stephens nearly upset veteran incumbent Republican Bob Michel, saying the upcoming campaign will be more like the '82 race. "Primarily, this is going to be a campaign about ideas," said Rodriguez. "We're bringing forward specific policy proposals. We believe campaigning for office requires more than 30 second sound bites," he added. Rodriguez said his campaign will be releasing policy proposals weekly through the campaign. His first this week on term limits suggests a member of Congress be limited to three terms, or six years. There apparently will be a race in November in the 18th congressional district. U.S. Representative Darin LaHood (R-Dunlap) will be challenged in November by a Eureka College history professor. Junius Rodriguez says he was chosen by a group of Democratic party chairmen to run against the first-term Republican in the district, which covers Peoria, Springfield, parts of McLean County and extends to far western Illinois. Rodriguez says one of the key things he wants to do is bring jobs to the district. The apparent Republican presidential nominee, Donald Trump has the apparent support of central Illinois Congressman Darin LaHood. 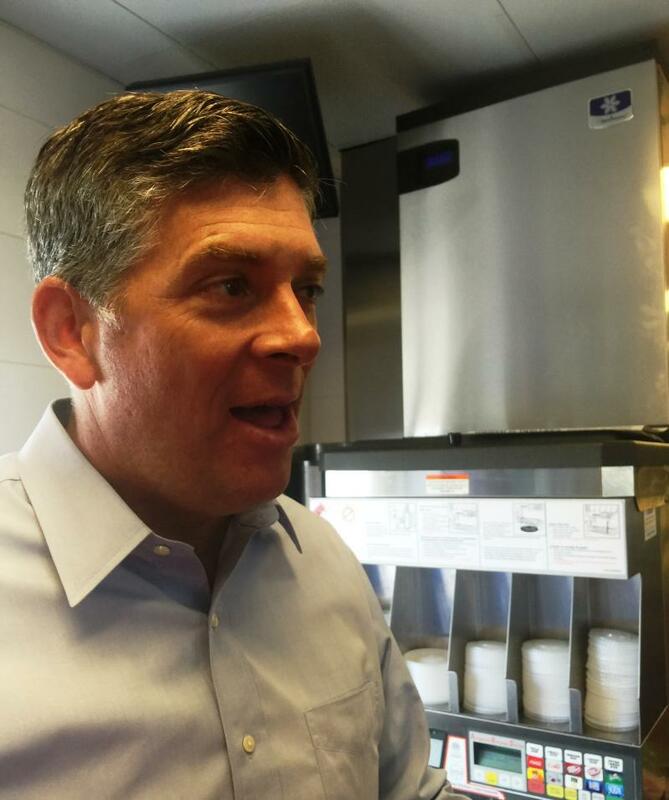 During a stop in Bloomington, LaHood (R-Dunlap) said he's standing by his statement that he will support whoever wins the GOP nomination.